My apologies for the lack of updates, interviews etc. I have been busy, away etc. and the downside of one person operation is that it’s one person. I had hoped to get the site rolling again tonight with photos from the David Sedaris reading at Bolen Books but that won’t be happening as I was told that photos were not allowed, not before, during or after. I’m not sure if this rule comes from Sedaris himself, his management or publisher (please be clear it was not from Bolen). One reason I really like to photograph writers is because they don’t usually act like stars. 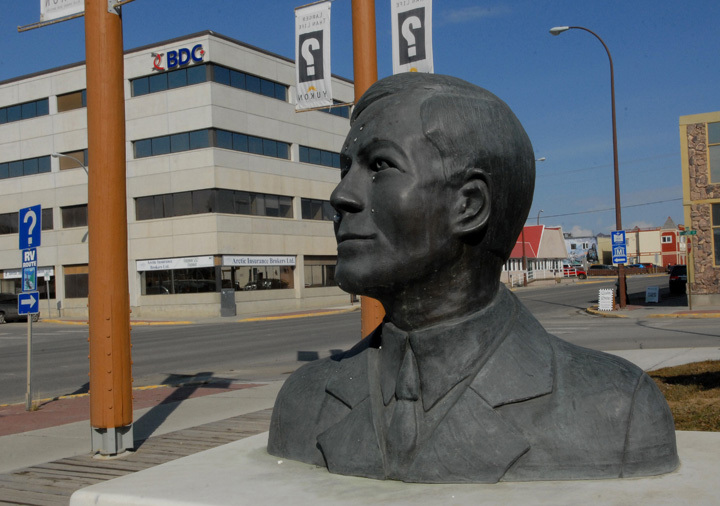 The closest I’ve been to anything (besides an actual book, anybody read A.A. Gill’s journalism, he’s cranky but fun) connected to writing were these reminders of the poet Robert Service in Whitehorse. Service, before he went to the Yukon worked at a bank in Victoria, the bank is now a very nice pub, The Bard and Banker. 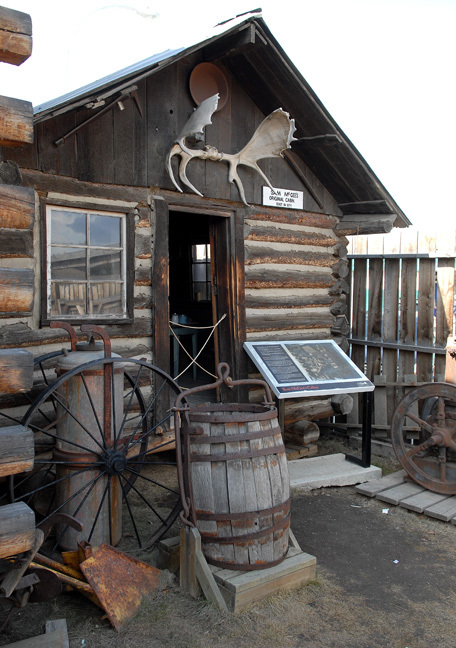 Sam McGee’s cabin in the McBride Museum, McGee the inspiration for Service’s classic ‘The Cremation of Sam McGee’ actually lived a full life and moved back to his American home before dying of old age.